Despite their different histories, Taiwan and Hong Kong have much in common in terms of their fight for democracy in the face of Chinese government hostility, and for many Hong Kong activists, Taiwan provides an inspiration. Hong Kong’s current struggle to preserve its democracy could therefore bring the entities closer together, which might in turn affect Taiwan’s relations with China. At the same time, sixteen UN Member States spoke in favour of Taiwan’s participation in UN specialized agencies in their statements during the 69th session of the General Assembly last week. 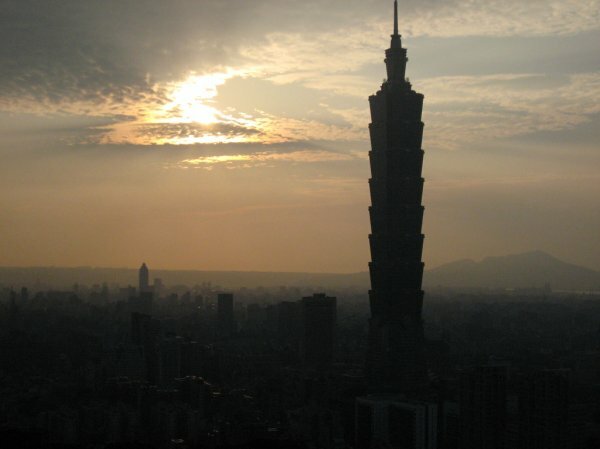 Various foreign ministers argued that Taiwan’s valuable expertise in numerous fields would benefit the global community, and the country’s continued exclusion from such bodies as the World Health Organization and International Civil Aviation Organization represented a serious loss to the rest of the world. In January, 13 groups from Hong Kong and Taiwan gathered in Taipei for a weekend conference. The meeting attracted little attention, but it marked the first time democracy advocates, including representatives from Hong Kong's political parties and students from both sides, had met in an organised fashion. Despite their proximity, the two sides previously worked little together. Taiwan has enjoyed full universal suffrage since 1996; but a year later, Hong Kong returned to Chinese rule. It seemed they had different fates. Growing worries about Beijing have drawn the two sides closer, however, culminating in mutual support for the Occupy Central movement in Hong Kong and an Occupy Parliament movement in Taipei earlier this year. "Taiwan's democracy and Hong Kong's democracy have the same threat - the Beijing government," said Lai Chung-Chiang, a Taipei-based lawyer and long-time activist. Now the two sides feel they share similar goals and they are working together more closely, something that will surely worry Beijing. After all, Taiwan could be seen as a bad influence - it's had decades, and some would say more than a century, of experience fighting for democracy. Some of its people are deeply anti-China and want independence, and its protesters have been bolder and more defiant than Hong Kong's. Many believe the success of Taiwan's movement greatly encouraged Hong Kong activists. Two months after the January meeting, Taiwanese students occupied parliament for 24 days and didn't leave until the legislature agreed to pass a law allowing stringent public supervision of agreements signed with China. "Because Taiwan's occupy movement was successful, Hong Kong people felt it was also possible for them," said Mr Lai. Many Hong Kong students came here then to learn, including how to disseminate information online in timely manner and co-ordinate supplies and donations. In recent days, Taiwanese activists have flown to Hong Kong to lend support. One of them, Karen Cheng, has just returned. "We strongly care about Hong Kong because we really cherish our freedom and democracy," said Ms Cheng. "We're worried that today's Hong Kong will be tomorrow's Taiwan (if it one day reunifies with the mainland)." Beijing should have foreseen these fears as it worked in recent years to woo Taiwan - the next on a list of territories China feels were unfairly taken away when it was weak and wants to take back, to unify the "motherland". Beijing had hoped that allowing Hong Kong to prosper economically after the 1997 handover would convince Taiwan to reunify. But whether or not it grants Hong Kong democracy will directly affect whether the Taiwanese trust China, much less want to reunify. Chinese President Xi Jinping's recent statements that Taiwan should accept the same "One Country, Two Systems" formula under which Beijing rules Hong Kong, following his refusal to allow Hong Kong people to directly elect their leader, indicate he may be clueless about what Taiwanese people care about the most – self-rule. Taiwan's President Ma Ying-Jeou has rejected Mr Xi's suggestion, saying: "We fully understand and support Hong Kong's demand for universal suffrage." Giving Hong Kong people the right to choose their own leader would be a "win-win" situation for Hong Kong and China, he added. But he's limited in how much more he can say. Mr Ma hopes to meet Mr Xi at the Apec leaders' summit in Beijing in November and he doesn't want to jeopardise future negotiations with China. For Beijing, it now has to reckon with two issues it dealt with separately being linked, said Arthur Ding Shu-fan, a research fellow at National Cheng-chi University's Institute of International Relations. "They will have to figure out how to reassure Taiwan not to support Hong Kong," said Mr Ding. It will also likely build a long blacklist of Taiwanese activists to keep out of Hong Kong. Already, student leaders Lin Fei-fan and Chen Wei-ting have been denied entry. But besides them, there are many more people who now feel connected to Hong Kong - no longer seen as just a place for flight transfers or shopping. "They supported us (back in March and April) and now we're supporting them," said Ms Cheng. "Supporting each other will help both sides." New York, Sept. 30 (CNA) The annual debate of the 69th session of the U.N. General Assembly concluded Tuesday, during which 16 of Taiwan's diplomatic allies spoke out for the country, the same number as in 2013. Taiwan should be allowed to participate in U.N. specialized organizations, said the heads of state, high-ranking government officials and representatives from the allies during the Sept. 24-30 assembly. These international organizations include the International Civil Aviation Organization (ICAO), the United Nations Framework Convention on Climate Change (UNFCCC) and the World Health Organization (WHO), they said, recognizing the contributions Taiwan has already made. Wilfred Elrington, foreign minister of Belize, said on Tuesday that his country has benefited from Taiwan's help and urged that Taiwan be permitted to participate in these specialized agencies. "In this modern day and age, it is incomprehensible that we should want to deny ourselves the benefit of their (Taiwan's) expertise in dealing with global issues," Elrington said.